We have two servers with distinctly different feels for you to choose from! 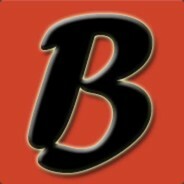 Bumfuzzler Modtopia (216.155.140.108) gives you access to tons of plugins and very unique game play systems like Prestige, Raid Sympathy, Trump Tower, Hillary House, and more! Zambie Hordes wander the countryside! Find buried treasure maps & dig up loot! Take on Jason Vorehees boss NPC! Build elevators up to 10 floors! Find Trump Tower & Hillary House for kits! Gain 30 prestige levels of new plugins & kits! Raid Sympathy returns % of resources when you’re raided! Leaderboards give access to additional kits! Terminals control security cameras, turrets & searchlights! Skin perks for damage, dodging, and building advantages! Ride Horses & drive cars for fast transport! Admin base events for challenging raids! Boost into wipes with special kits 3 days from wipe! So many unique and balanced features we’re unable to list them all! Bumfuzzler Vanillatopia (66.55.149.84) gives you the vanilla flavor and feel while extending the game with new exciting game mechanics like rafts, boats, cars and horses! Less time spent grinding for scrap, blueprints unlocked! Manage clans and friends with intuitive interface driven tools! Enjoy dynamic helicopter and plane crash events! Sail rafts and viking boats, ride horses and drive cars! Active, helpful admins who don’t abuse powers & an awesome community! We sincerely hope you enjoy playing on Bumfuzzlertopia servers! If you need anything at all, have suggests or anything, contact us!